A couple friends and I were discussing the movie Gravity the other day. Two of us had seen it in 3D IMAX, the other likes watching movies in his house in high-def after they’ve come out on BluRay. The two of us who’d seen it in the theater said that was what it took to get us to the theaters and spend the extra money. It had a solid story AND it was immersive in a way which even a big screen in a basement with great sound is not going to duplicate. These days, there are even reviews of movies to help you decide to see it or not, but what format to see it in. Gravity 3D IMAX rated a perfect 35/35. It’s a must-watch killer app which so obviously compels you to shell out your hard-earned buck that it satisfies your AND craving. Customers are expecting more and have greater access to information than ever before. Marketers can’t just say their product does AND because they’ll get called on it. It’s far more likely that potential buyers will trust their friends or third party reviews over product claims. I recently bought a sweatshirt because of a story I read on Wired.com referring to a product review on Slate. 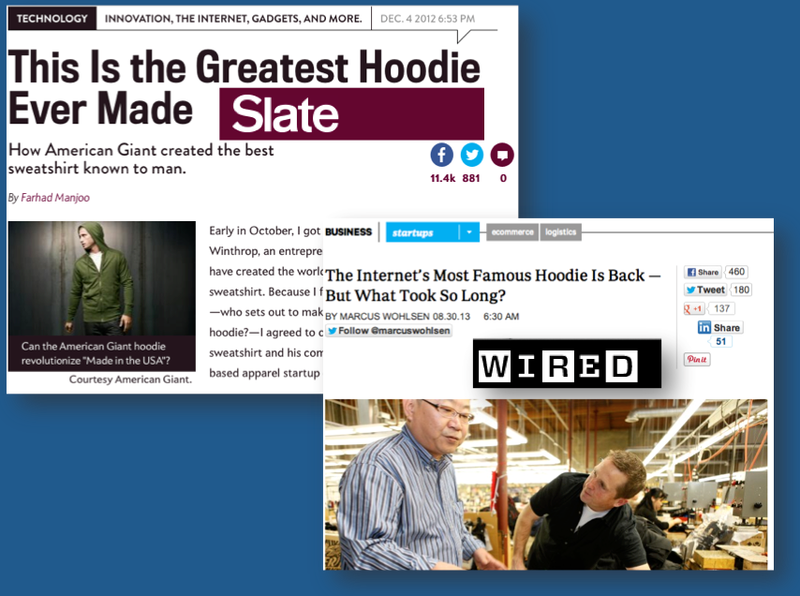 Actually, it wasn’t a review, it was an ode to “The Greatest Hoodie Ever Made”. Who wouldn’t want one of those? AND from Slate and Wired for American Giant. And it is an awesome hoodie. I went out to dinner this weekend with my wife and the trout I had was so good, I decided to smoke some fish for the family the next night. That was good, but the bar menu was the AND. AND at the Miller Union bar. 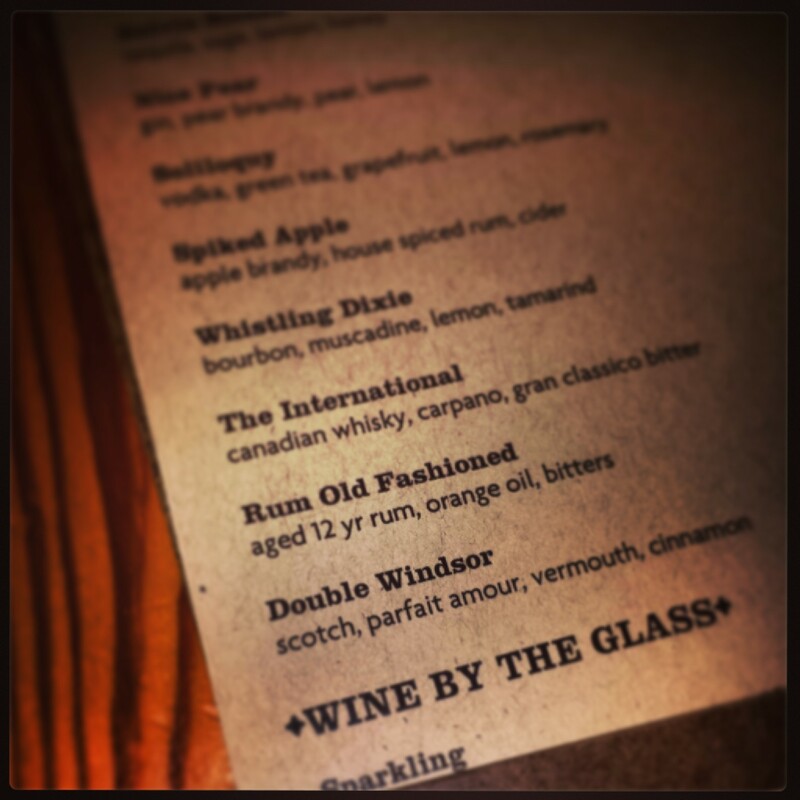 Orange oil and aged rum. AND is so big that Coke Zero built an advertising campaign around it. In sports, the Heat can’t win a championship with just Dewayne Wade, they need Chris Bosh AND LeBron James too. Three All-Stars is what it takes to be a winner in the NBA. Even closer pitchers in baseball can’t just rely on their fastball, they need another pitch to mix it up. So what’s this tell us? First, if you’re going to offer a product or service, you’re not going to get a premium for it unless you somehow get the job done better than expected. Somebody in your target market needs to be blown away. The status quo for hoodies is to wear the one you’ve got, go to the mall or a sporting goods store, surf randomly for one using Amazon Prime, or realize that you live in Atlanta and don’t actually need one. Inspiring customers to action takes AND. Otherwise, they’ll stick with what they’ve got and do nothing or take the commoditized path. If you’ve got passion about what you do, the first outcome is going to get you nowhere while the second is going to erode what you stand for. Both will leave you unfulfilled and unsuccessful. The same is true about your personal brand. If you’re going to stand for something and be synonymous with great ideas or expertise then you need to have some AND to your brand. You need that third-party validation which is earned. Having that ode to your passion takes you to the next level. Otherwise, the people you interact with will do so reluctantly, go elsewhere, or randomly choose your name off a list on their phone or corporate directory.